University of Lagos, UNILAG invites anthem submission from gifted and competent members of the University community (students and staff) and alumni. 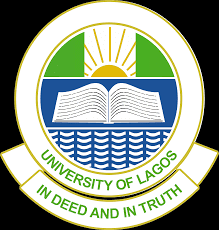 The University of Lagos was established by an act of the Federal Parliament in April 1962. Fifty-five years after, the University continues to fulfill the vision of the founders of this great Institution.It is common practice in institutions of higher learning to have an anthem depicting their mission and vision as well as core values. The Management of the University of Lagos hereby invites gifted and competent members of the University community (students and staff) and alumni to submit suitable lyrics – with or without music – from which the best will be selected to become a worthy anthem for the University. If by music, the rendition should be artistically appealing and backed up with appropriate rhythm and orchestration. Rewards: Winning entries will attract handsome cash rewards. Closing Date: All entries should be received on or before Friday, April 7, 2017.